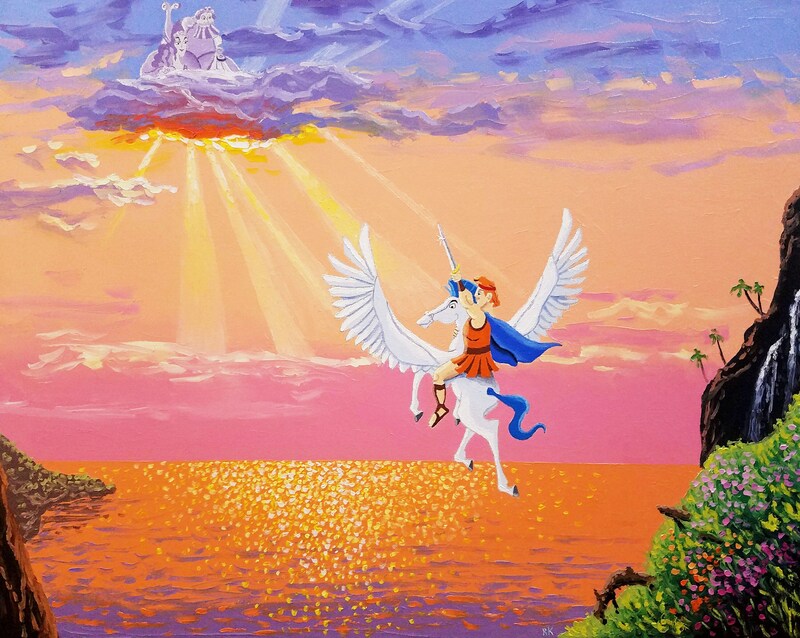 This original oil painting on canvas depicts Hercules and Pegasus flying off into battle, with Herc's parents smiling down on their son from above. I thought it would be cool to paint them as part of a large cloud, shining their light down below. This is the first painting in my Disney series. I painted Hercules with his sword drawn, which really adds excitement and drama to the scene. --Sides of canvas are painted dark blue for a professional display. No need to frame!